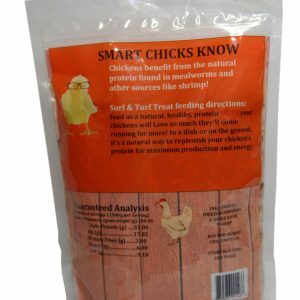 PROTEIN PACKED! 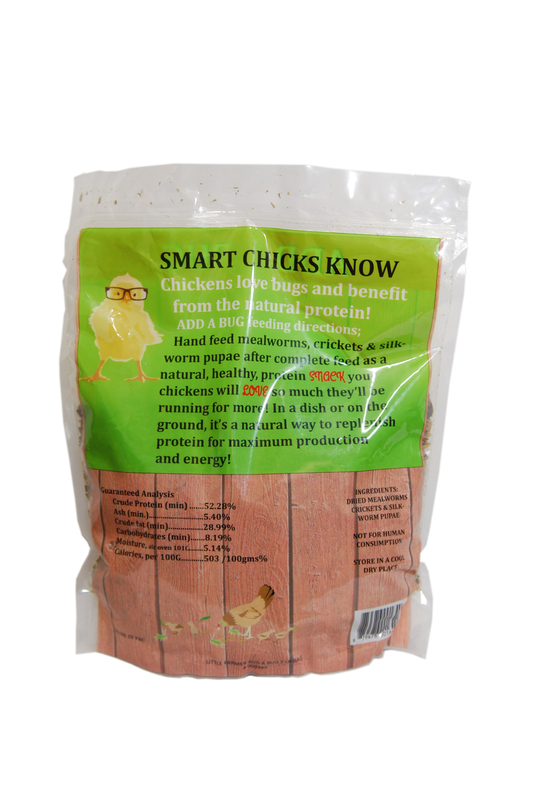 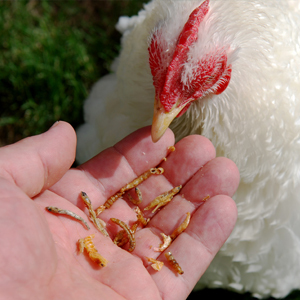 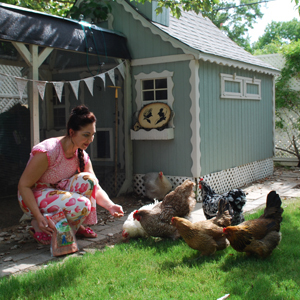 Chickens LOVE bugs and benefit from the natural protein! 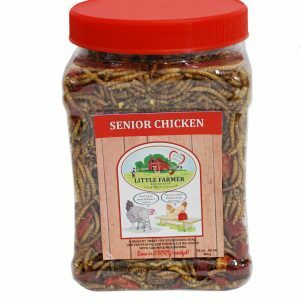 Contains a trio of mealworms, crickets, and silkworm pupae. 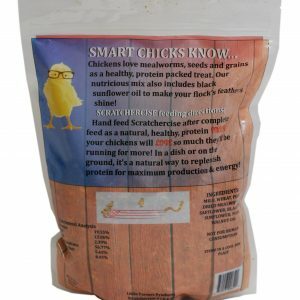 52.28% of crude protein for nutritious deep orange yolks! 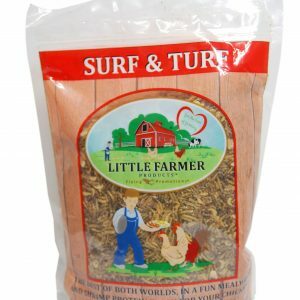 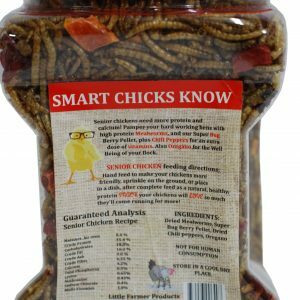 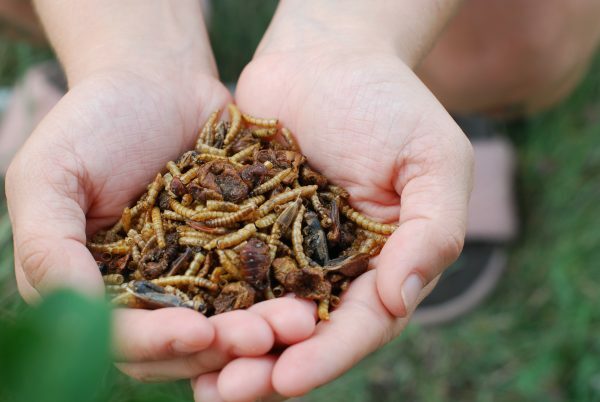 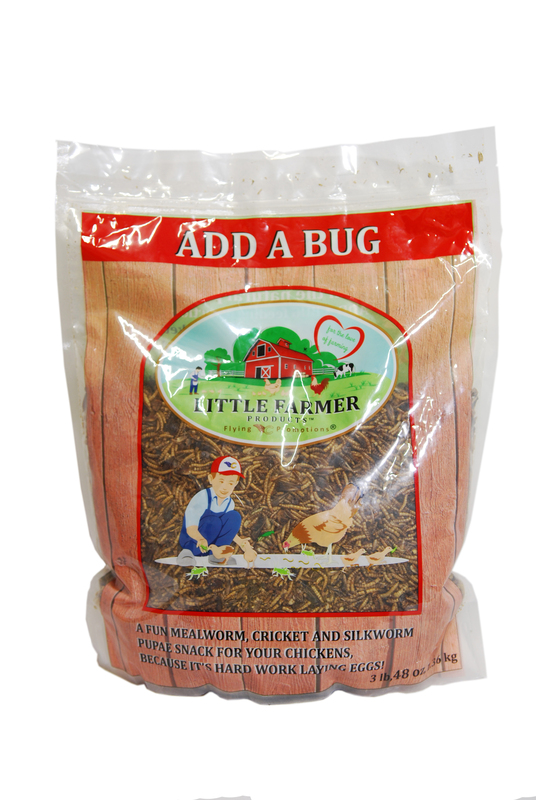 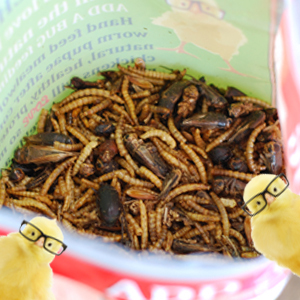 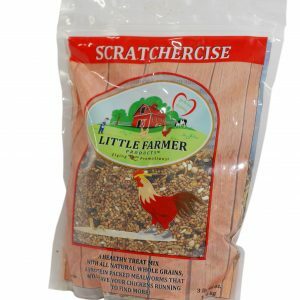 A fun mealworm, cricket, and silkworm pupae snack for your chickens, because it’s hard work laying! 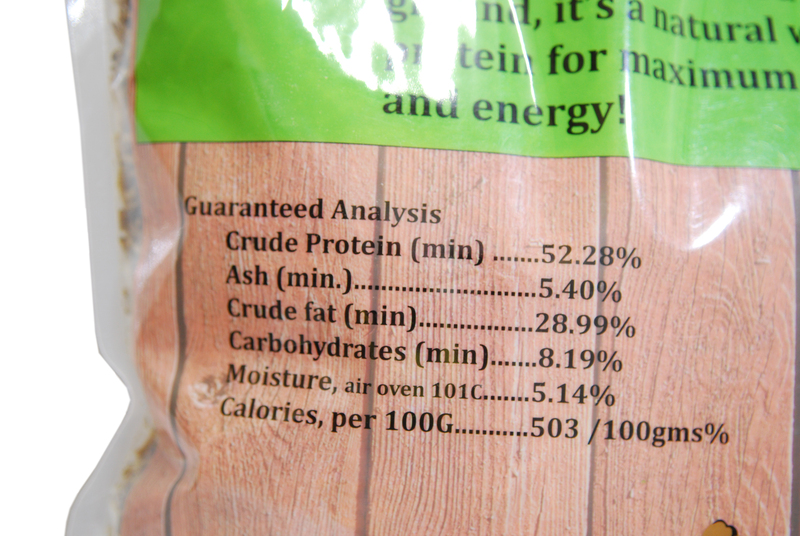 EARTH FRIENDLY. 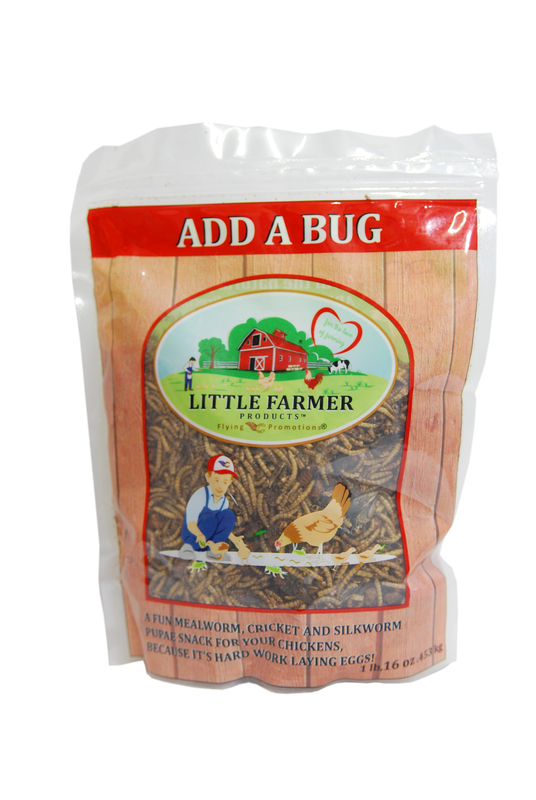 Use to refill the reusable shaker, Shake a Bug. 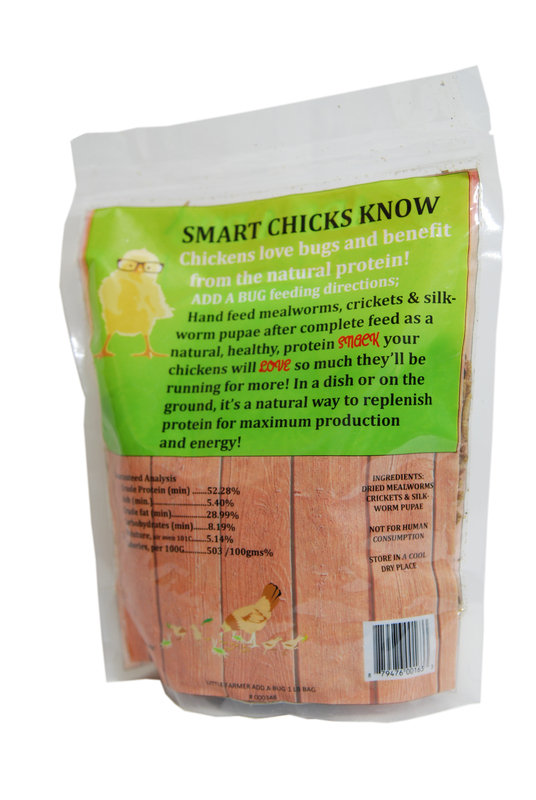 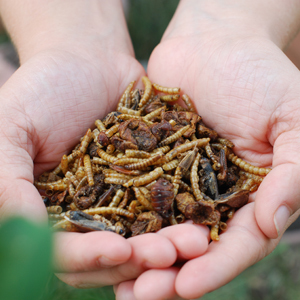 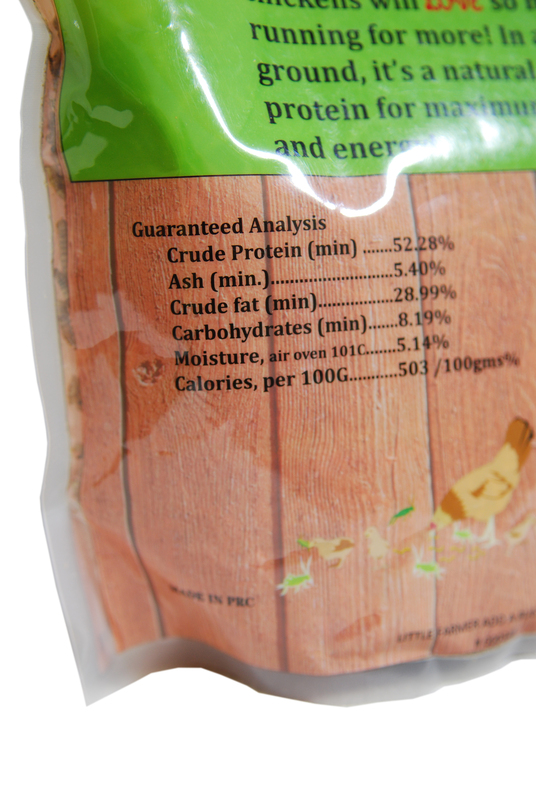 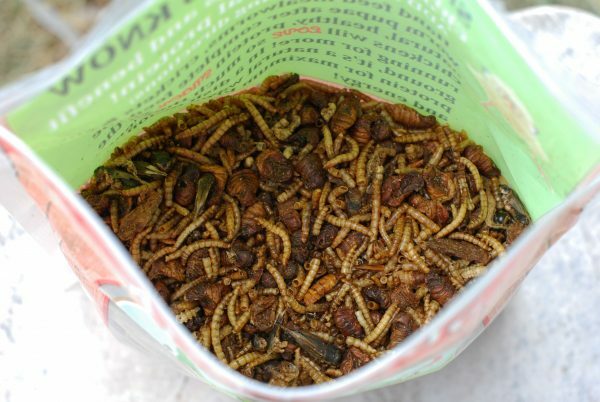 This mix contains mealworms, crickets, and silkworm pupae offering a whopping 52.28% protein!